WordPress offers the design, features, and support to bring a website to life. Jetpack provides website connections to features and tools available through WordPress.com. Polldaddy is a tool to customize quizzes, surveys, and polls. Intense Debate provides tools to manage comments on the website. Akismet helps control spam through filters that sometimes catch non-spam. Currently, CRLC does not use any plug-ins, but PayPal, Mail Chimp, and Survey Monkey are tools the buckaroo employs for business and communication. All require users to sign in or sign up. A subscriber, patron, client on retainer, or project writer (for a contest, anthology or other literary project writer agreed to participate in) can opt out of emails or e-newsletters. Currently, CRLC does not use AdWords, Amazon Affiliate, or any other third-party entity. Ads at CRLC consist mostly of links to community author book sales, and occasionally ads highlight events or sponsors). At no time is participant data shared with any advertising entities, including those also in the literary community. CRLC hosts a free weekly literary challenge open to all writers who chose to participate through our platform. We host an annual contest, publish collaborative projects, provide writer developments, and other free support and information to writers around the world. Charli Mills also provides client services and opportunities for patrons and sponsors of literary art. 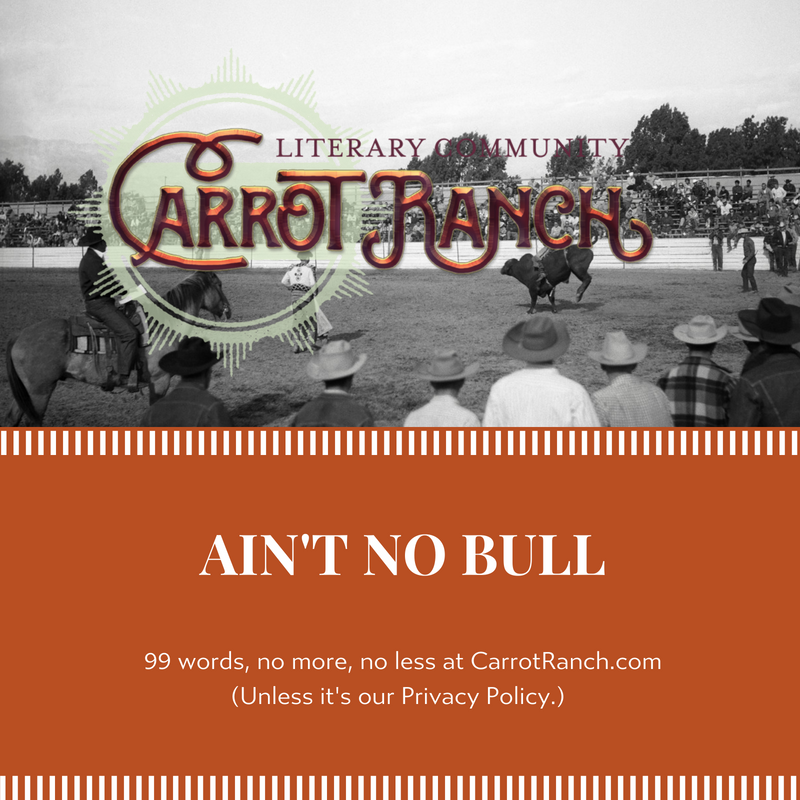 Our mission is to make literary art accessible. Other users’ websites that use our services. CRLC only collects information about you to provide our Services, to communicate with you, or to make our Services better. Basic Information: We ask for basic information from you when you submit stories to challenges or contests. Emails gathered in this way are only used for communication regarding submissions. This information remains private and will be cleared annually. Stories with bylines and weblinks will be archived publicly at CRLC. Public Profile Information: If you have an account with WordPress, Automattic collects the information that you provide for your public profile, including your username, any photo you provided or an “About Me” description. Your public profile information is just that — public — so please keep that in mind when deciding what information to include. Content Information: Depending on the Services you use, you may also provide us with information about you in draft and published content (such as for your website or your Polldaddy survey). For example, if you write a guest blog post that includes biographic information about you, we will have that information, and so will anyone with access to the Internet because we publish the guest posts publicly. This might be obvious to you…but it’s not to everyone! Communications with Us (Hi There! ): You may also provide us information when you respond to surveys, communicate with Charli Mills, or post in our public comments. Log Information: Like most online service providers, Automattic web tools collect information that web browsers, mobile devices, and servers typically make available, such as the browser type, IP address, unique device identifiers, language preference, referring site, the date and time of access, operating system, and mobile network information. They collect log information when you use our Services — for example, when you submit stories through the WordPress.com form. Usage Information: Automattic collects information about your usage of our Services. They use this information to, for example, to provide Services at CRLC, as well as get insights on how people use our Services, so we can make our Services better. Location Information: Automattic may determine the approximate location of your device from your IP address. This information calculates how many people visit CRLC from certain geographic regions. Interactions with Other Users’ Sites: Automattic collects some information about your interactions with other users’ sites while you are logged in to your WordPress account, such as your “Likes” and the fact that you commented on a particular post. As another example, for Intense Debate users, Automattic collects information about the comments you make while logged in to your account, and use that information to, for example, tally up statistics about your comments (check them out in your WordPress dashboard!) and provide the information about your comments in your Intense Debate public profile. Legal Requests: We may disclose information about you in response to a subpoena, court order, or other governmental request. For more information on how we respond to requests for information about WordPress.com users, please see Automattic’s Legal Guidelines. Published Support Requests: And if you send WordPress a request (for example, via a support email or one of our feedback mechanisms), we reserve the right to publish that request in order to help us clarify or respond to your request or to help us support other users. Information that you choose to make public is — you guessed it — disclosed publicly. When you complete a form to enter your story into a challenge or contest, your story, byline and any link provided will be shared publicly. Your email will not be shared. All copyrights remain with the author. That also means, of course, that information like your public profile, posts, other content that you make public on our website or yours, and your “Likes” and comments on our website and other websites, are all available to others — and we hope you get a lot of views! We also provide a “Firehose” stream of public data (like posts and comments) from sites that use Automattic’s Services to provide that data to Firehose subscribers, who may view and analyze the content (all subject to Automattic’s Terms of Service), but do not have rights to re-publish it, publicly. For example, we keep the web server logs that record information about a visitor to one of Automattic’s websites, such as the visitor’s IP address, browser type, and operating system, for approximately 30 days. We retain the logs for this period of time in order to, among other things, analyze traffic to Automattic’s websites and investigate issues if something goes wrong on our website. As another example, when we delete a post, page, or comment from our WordPress.com site, it stays in our Trash folder for thirty days just in case we would like to restore that content. After the thirty days are up, the deleted content may remain on our backups and caches until purged. While no online service is 100% secure, we trust the tools and services we’ve purchased from Automattic to work very hard to protect information about you against unauthorized access, use, alteration, or destruction, and take reasonable measures to do so, such as monitoring our Services for potential vulnerabilities and attacks. To enhance the security of our account, we use WordPress’ advanced security settings, including Two Step Authentication. Limit the Information that You Provide: If you interact with us, you can choose not to provide the optional information, profile information, and transaction and billing information. Please keep in mind that if you do not provide this information, certain features of our Services may not be accessible. Opt-Out of Electronic Communications: You may opt out of receiving promotional messages from us. Just follow the instructions in those messages. If you opt out of promotional messages, we may still send you other messages, like those about your participation in contests, anthologies, projects and legal notices. Set Your Browser to Reject Cookies: At this time, Automattic does not respond to “do not track” signals across all their Services. However, you can usually choose to set your browser to remove or reject browser cookies before using Automattic’s websites, with the drawback that certain features of Automattic’s websites may not function properly without the aid of cookies. Not participate: While we’d be very sad to see you go, if you no longer want to use our Services 😦 😦 😦 :(, you can choose to not participate. Please keep in mind that we may continue to retain your information from previous participation, as described in How Long We Keep Information above. You can usually access, correct, or delete your personal data using your Gravatar account settings and tools you use through Automattic, but if you aren’t able to do that, or you would like to contact us about one of the other rights, scroll down to How to Reach Us to, well, find out how to reach us. In addition, if you want to request a correction or deletion to a comment or story you published, contact CRLC. Depending on the Automattic Services you use, more than one company may be the controller of your personal data. Generally, the “controller” is the Automattic company that entered into the contract with you under the Terms of Service for the product or service you use. In addition, Automattic Inc., our US-based company, is the controller for some of the processing activities across all of our Services worldwide. You can ask Automattic (contact listed above) for more information about the steps they take to protect your personal information when transferring it from the EU. CRLC does not allow third-party ads through AdWords or Amazon. Any ads for promotions, events, books or services belong to CRLC. No data is collected beyond what is described here as part of Automattic’s tools to run a website. At this time CRLC does not use third-party software, such as Woocommerce.com. CRLC uses any data collected by Automattic’s tools for the purpose of operating a literary community, providing engagement between readers and writers, and communicating with participants. Insights help gauge the success of the site and private information collected by CRLC is never shared or sold. If you’d like, you can also read more about the data Automattic collects on our behalf in their Privacy Notice. That’s it! Thanks for reading. And thanks to Automattic for providing the necessary language to be adapted to CRLC and for clearly explain their practices to uses and our visitors. May 25, 2018: Created policy to provide more specific information to clarify our practices and reflect the requirements of the EU’s General Data Protection Regulation.